Josh Svatos has been a part of RTEC for 11 years, first serving as the General Manager and now the President. He has been a part of the Yankton community for just over 19 years. Josh grew up in Lake Andes, SD, and graduated from Andes Central High School. He has a Bachelor of Science Degree in Speech Communications and a Minor in Mass Communications from the University of South Dakota. He also has a Master of Science Administrative Studies Degree, emphasis in Organizational Management from the University of South Dakota. In his free time, he is involved in various community organizations, serves on several non-profit boards, and coaches various youth sports in Yankton. 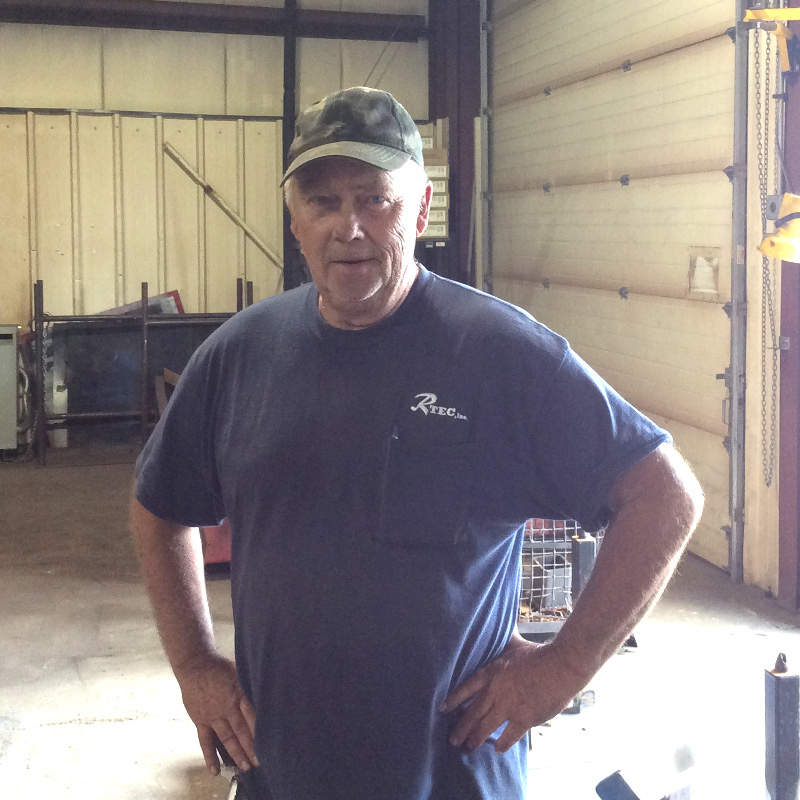 Bob Olson, CWI / CWE, is a pillar in the RTEC welding program. Bob has been a welding instructor since the start of RTEC in 2004. Along the way, he has taught numerous RTEC welding courses and served as a welding mentor for those in the industry. Olson’s professional work experience includes 28 years as a welder and quality inspector for Kolberg Pioneer Inc. in Yankton. Bob also has 50 plus years of professional welding experience. With Olson’s educational background and skill sets, RTEC is able to deliver top notch welding training. His versatility and knowledge make him a valuable asset to RTEC and the community. John Darcy, CWE, RTEC's full-time career and technical education instructor, has been involved with RTEC programming for the past 8 years. John taught for Mitchell Technical Institute’s Industrial Maintenance Technology program in Yankton for 5 years. He was recently hired full-time as an RTEC Instructor in 2016. Along the way, Darcy has taught RTEC welding courses, instructed at Yankton Manufacturing & Entrepreneurial Academy and instructed Friday high school dual credit courses for participating regional school districts. John’s professional work experience includes 5 years as an electrician in Yankton, 10 years as a maintenance/safety technician for Sapa, and 2 ½ years as a crew supervisor for multiple crews for Price Gregory on the Trans Canada Pipeline Project. In October or 2016, John started a new and re-invigorated CNC (Computer Numeric Controlled) machining program at RTEC. This program also helped RTEC become a HTEC (HAAS Technical Education Center) for CNC machining training. Students who complete this program under Darcy’s direction have the opportunity to take a NIMS (National Institute for Metal Working Skills) certification test in Measurement, Materials, and Safety. With John’s educational background and skill sets, RTEC is able to deliver top notch CTE training. His versatility and knowledge make him a valuable asset to RTEC and the community. Alex is the newest team member to RTEC, having started in October of 2018. She graduated Buena Vista University in May of 2018 with a Bachelor’s degree in Business Marketing and a minor in Spanish. While in college, Alex gained valuable experience in leadership and management by being a Resident Assistant. She also completed an internship with the Iowa Lottery, learning the ins and outs of marketing a business and the importance of public relations. During her college career, Alex had the opportunity to serve as the Marketing President for the Resident Assistant Program. She also created campaign flyers for a successful student senate presidential campaign. At her previous job, Alex gained valuable communication and people skills that transfer well to her role as office administrator. We are excited to have Alex on our team.